I read this article and found it very interesting, thought it might be something for you. The article is called Clara Fraser: Quintessential Feminist and Revolutionary 1923-1998 and is located at https://socialism.com/fs-article/clara-fraser-quintessential-feminist-and-revolutionary-1923-1998/. After devoting her entire being to the socialist movement, Clara Fraser died February 24 at age 74. Her commitment touched all who knew her, from her two sons and staff to longtime colleagues and the newest members of Radical Women and the Freedom Socialist Party, organizations she cofounded. Friends universally describe her as the Marxist with the sharpest mind and the warmest heart they have ever known. Her life was organized seamlessly around the collective politics she believed and taught to the very end. Though gravely ill with emphysema, Clara spent her last day as she had so many others over the years: writing birthday cards, editing a memo on the threatened war with Iraq, and arranging a welcome home meal and flowers for a returning housemate. No matter how sick she was, she never turned inward and obsessed. She always directed her gaze outward to the world around her and tried to make it better. Her comrades, who provided round-the-clock care during Clara’s final months, loved the late-night talks about movies, current events and party life that happened during their shifts with Clara. They were glad to share these intimate moments with a remarkable woman who had given so much to the struggle. With her sons, Marc Krasnowsky and Jon Fraser, they feel a deep sorrow at her passing. Still, they say that Clara would be happy she escaped the clutches of the profit-making medical establishment and died with dignity at home. By 1945, after graduating from UCLA with a degree in literature and education, Fraser was a recruit to the ideas of Leon Trotsky, whose campaign against Stalin’s perversions of socialist principles and practice had gained adherents worldwide. She joined the Trotskyist Socialist Workers Party that year. In 1946, she moved to the Pacific Northwest to help build the SWP’s Seattle branch. As an assembly line electrician, Fraser joined the Boeing strike of 1948. When the union was slapped with an anti-picketing injunction, she put together a mothers’ brigade to walk the line with baby strollers. After the strike, Boeing fired and blacklisted Fraser, and the FBI pursued her relentlessly from job to job for a decade. In the ’50s and ’60s, Fraser stayed active in the labor arena, worked to end segregation, advocated for women, and opposed the Vietnam War. With cothinkers, she developed a trailblazing position called Revolutionary Integration, which explains the interdependence of the struggles for socialism and for African American freedom and argues the key importance of Black leadership to the working class. The SWP, however, was supporting the reactionary separatism of the Black Muslims. The Seattle local conducted a long campaign to try to win the national party to its perspective on race liberation and also to an appreciation of the centrality of women’s emancipation to the socialist cause. A clampdown on internal party democracy brought this effort to a dead end. The Seattle branch left the SWP in 1966 and launched the Freedom Socialist Party, founded on a program emphasizing the vanguard role of the most oppressed in achieving progress for all of humanity. In doing so, Fraser and her comrades ensured that the ideals of Marx, Engels, Lenin, Trotsky, Rosa Luxemburg, and other early communists would be carried vibrantly forward. Fierce fighter for women’s liberation.The new party faced an immediate test of whether its feminism would fly, however, when Clara sought a divorce from her second husband, another FSP leader. Richard Fraser attempted to deprive her of custody rights by smearing her in court as an unfit mother because of her involvement in politics – a terrible act of finkery by a supposed Marxist and champion of women’s equality! Clara won the battle in court and in the party as well, honing both her feminist assertiveness and her understanding of legal strategies in the process. In 1967, Radical Women (RW) was formed by Fraser, her constant partner in subversion Gloria Martin, and young women of the New Left. RW’s ambition was to teach women the leadership skills, theoretical know-how, and class consciousness they were deprived of in the male-dominated movements of the time. Fraser and her FSP and RW cohorts coalesced with anti-poverty organizers, mostly Black women, to win abortion rights statewide. They supported Native American fishing rights, Chicano and Indian occupations of government land and buildings, and Asian American demands for low-income housing. They aided draft resisters, fought for childcare, coordinated Seattle’s first lesbian/gay pride marches, achieved city ordinances protecting sexual and political minorities, and pushed to get women and people of color into the trades. Courtroom as political stage. 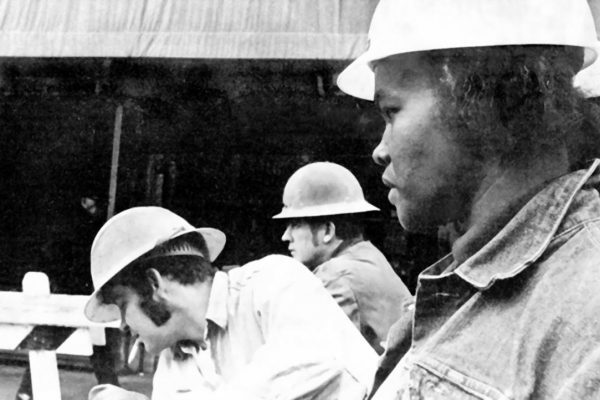 In 1973, Fraser’s background as an administrator and analyst in the anti-poverty programs helped her land a job as Seattle City Light’s Training and Education Coordinator, charged with implementing a program to hire and train women electrical workers. 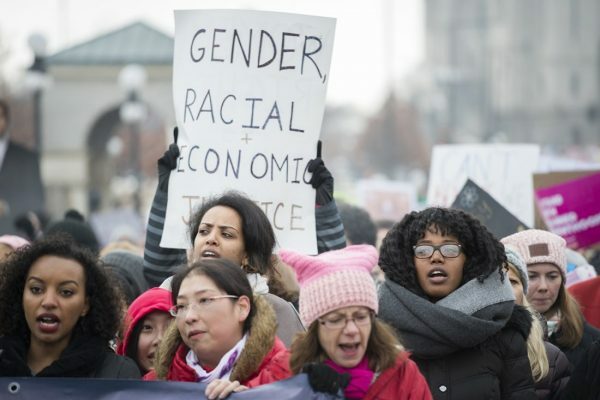 A wildcat strike by union electricians erupted soon after Fraser arrived, and she inspired female office staff and workers of color to join the walkout. She further incurred the wrath of City Light management by representing the workforce on a committee negotiating an Employee Bill of Rights and Responsibilities and by participating prominently in a bid by city workers to recall the mayor because of his support for the utility’s tyrannical superintendent, Gordon Vickery. “I am a socialist feminist. I believe we live in a corrupt, ugIy, vicious and doomed society, a society that cannot last in its present form because it will go up in nuclear holocaust, if not in annihiIation of people in some other horrendous form. “And I believe that the source of sexism, racism, despair, and the wanton destruction of the earth is to be found in the nature of the system, which is based on the production of goods and services for profit and not human needs. No one who followed the case all those years will ever forget their exultation at the eventual ruling in Fraser’s favor, which affirmed the right of workers to speak out against management and to organize on their own behalf. In 1984, not long after Clara returned in triumph to City Light, a disgruntled ex-FSP member named Richard Snedigar brought a harassment lawsuit against Fraser, seven other party leaders, and the organization as a whole. Snedigar wanted to take back a substantial donation given years before to a fund for a new headquarters. Having no legal case, he tried to blackmail the party into returning the gift by demanding FSP minutes, membership lists, and names of contributors – which he knew the organization would never hand over. At one point, Fraser and the party’s attorneys were sentenced to jail for refusing to divulge financial information, but their sentences were stayed and ultimately overturned. The FSP pursued this case to the state Supreme Court, where famed civil liberties attorney Leonard Boudin argued that privacy rights are essential to the freedom to express dissent. The FSP was finally vindicated in 1992. Bread — and wine and roses, too. Fraser’s retirement from City Light in 1986 allowed her to laser in on her responsibilities as FSP National Chair, advise RW on a regular basis, and concentrate on the mentoring and training that meant so much to those who benefited from it. An accomplished theoretician of Marxist economics, intransigent anti-Zionist, and a keen internationalist, she helped coordinate several delegations of members to the Middle East, Northern Ireland, the former Soviet Union, Eastern Europe, China, and Cuba. Most recently, she provided invaluable guidance in planning and launching the first-ever International Feminist Brigade to Cuba, undertaken by RW and the Federation of Cuban Women in late 1997. And Fraser continued to nurture the literary endeavors of her comrades. A consummate editor and critic, she nursed the health of the Freedom Socialist, organized writing skills workshops, and encouraged the publication of preconvention documents and internal discussion bulletins. Fraser loved to play with words herself and created witty, audacious, and indelibly memorable columns – which, along with speeches and other writings, are collected in her new book, Revolution, She Wrote. Also unforgettable are the times of celebration: the wonderful gatherings of colleagues and friends to relax from the burden of work; rehash a forum, rally or hearing; dissect the Democrats and Republicans; frequent new restaurants and savor exciting ethnic foods; and relish good books, music, the theater, and cinema. Fraser considered the arts as essential to political life and necessary to the nourishment of the human spirit, and she shared that enjoyment always. Clara Fraser taught us all how to be revolutionary in deed as well as word. Her canniness, her chutzpah, her candor, and her kindness will never be forgotten.